Alyah Horsford-Sidberry — Harlem EatUp! Alyah Horsford-Sidberry is known throughout Harlem for her work within real estate. Lately she has begun to make a major splash on the Harlem scene with her latest business venture within the restaurant and lounge industry. Cove Lounge provides the foundation of what Harlem nightlife and dining should be, sophistication mixed with an urban edge. She decided to make her next business venture one that would not only benefit her, but the Harlem economy and community as well. Harlem is also the place this New York native spent most of her childhood and where she called home since 1994. A career within real estate and nightlife fits within Horsford-Sidberry's business motto of building relationships, a lesson she learned from her Grandfather who started the family real estate business in the early 1940's. Alyah also learned the lesson to "stay the course, do not be discouraged and always trust your instincts." These major lessons have helped to make both Cove Lounge and Horsford Group a success. Inspired to dream back at an early age, Alyah hopes to encourage others by empowering younger individuals to work hard to achieve their goals, so they too, can do exactly what they love. Alyah an energetic and innovative owner, lives daily by the mantra "faith plus work equals success" and that "networking helps to build solid relationships." 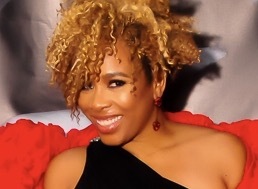 Alyah has press accolades from: Essence, Food Network, TheRoot and other media outlets. She proudly resides in Harlem, NY, with her husband and two sons.